Product is tested for Flow Cytometry, Frozen Sections, Enzyme Immunoassay, Immunoprecipitation, Western blot / Immunoblot. 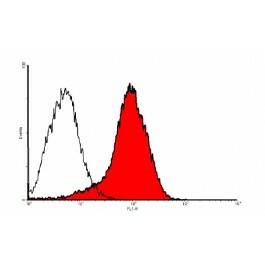 Recombinant human soluble FLT-4 protein (110 kDa). 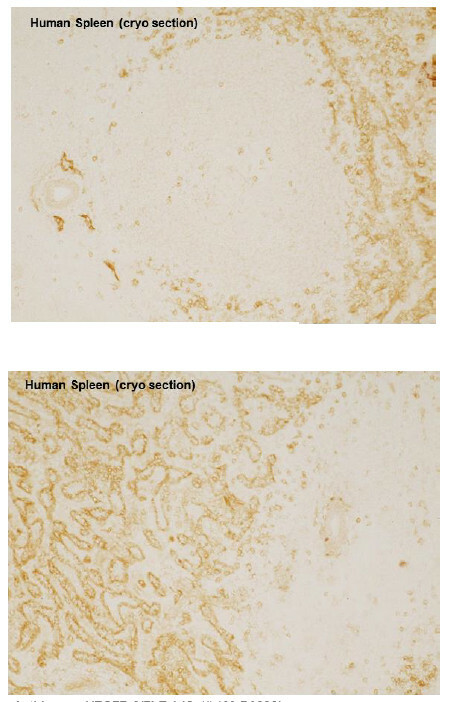 ELISA: 0.5-1.5 µg/ml, allows the detection of 0.25-0.5 ng/well rhVEGFR-3/FLT-4. 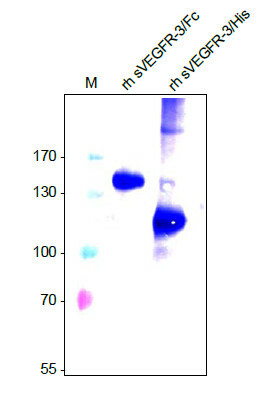 Western Blot: 0.5-1 µg/ml, it will detect approximately 5 ng/lane of rh VEGFR-3/FLT-4 under reducing conditions depending on the visualisation method. Joukov et al., EMBO J 15 :290, 1996. Kukk et al., Development 122 :3829, 1996. Restore in sterile water to a concentration of 0.1-1 mg/ml. 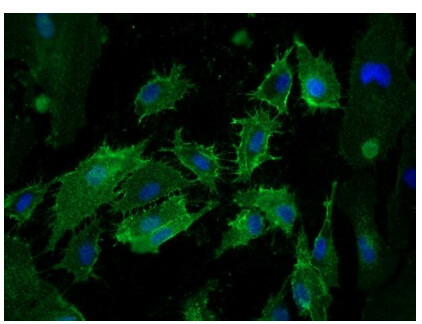 The antibody will detect human VEGFR-3/FLT-4. 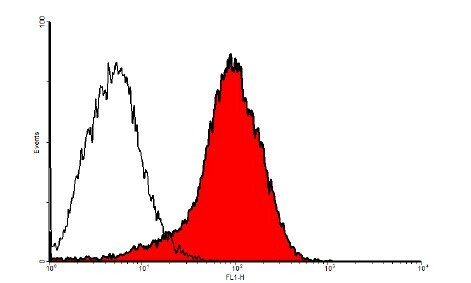 In Western blots, this antibody shows a moderate cross-reactivity with VEGFR-2/KDR and a weak cross-reactivity with VEGFR-1/Flt-1.